On account of his association with mahātmās, or great souls one hundred percent in the devotional service of the Lord, one may attain a little bit of attraction for Śrī Kṛṣṇa. But at the same time one may remain very much attached to fruitive activities and material sense enjoyment and not be prepared to undergo the different types of renunciation. Such a person, if he has unflinching attraction to Kṛṣṇa, becomes an eligible candidate for discharging devotional service. Devotees can be divided into three classes. The first or uppermost class is described as follows: one is very expert in the study of relevant scriptures, and he is also expert in putting forward arguments in terms of those scriptures. He can very nicely present conclusions with perfect discretion and can consider the ways of devotional service in a decisive way. He understands perfectly that the ultimate goal of life is to attain to the transcendental loving service of Kṛṣṇa, and he knows that Kṛṣṇa is the only object of worship and love. This first-class devotee is one who has strictly followed the rules and regulations under the training of a bona fide spiritual master and has sincerely obeyed him in accord with revealed scriptures. Thus being fully trained to preach and become a spiritual master himself, he is considered first class. A first-class devotee never deviates from the principles of higher authority, and he attains firm faith in the scriptures by understanding with all reason and arguments. When we speak of arguments and reason, it means arguments and reason on the basis of revealed scripture. The first-class devotee is not interested in dry speculative methods meant for wasting time. In other words, one who has attained a mature determination in the matter of devotional service can be accepted as the first-class devotee. 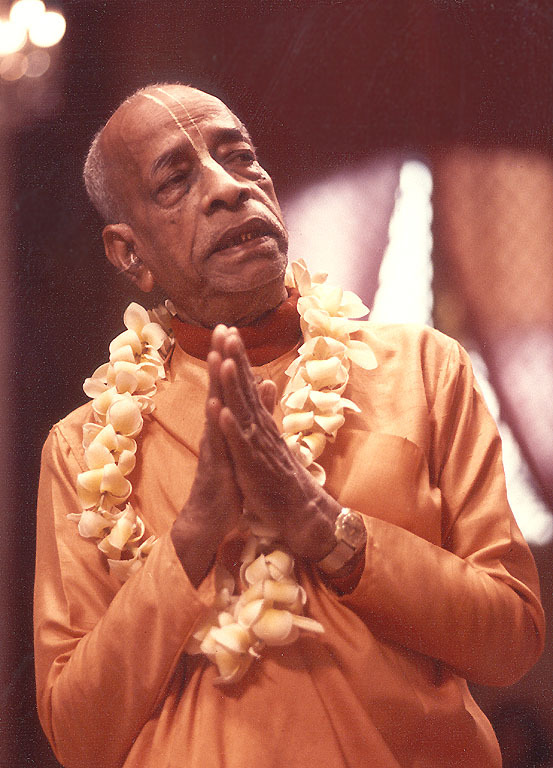 The second-class devotee has been defined by the following symptoms: he is not very expert in arguing on the strength of revealed scripture, but he has firm faith in the objective. The purport of this description is that the second-class devotee has firm faith in the procedure of devotional service unto Kṛṣṇa, but he may sometimes fail to offer arguments and decisions on the strength of revealed scripture to an opposing party. But at the same time he is still undaunted within himself as to his decision that Kṛṣṇa is the supreme object of worship. The neophyte or third-class devotee is one whose faith is not strong and, at the same time, does not recognize the decision of the revealed scripture. The neophyte’s faith can be changed by someone else with strong arguments or by an opposite decision. Unlike the second-class devotee, who also cannot put forward arguments and evidences from the scripture, but who still has all faith in the objective, the neophyte has no firm faith in the objective. Thus he is called the neophyte devotee. Further classification of the neophyte devotee is made in the Bhagavad-gītā. It is stated there that four classes of men-namely those who are distressed, those who are in need of money, those who are inquisitive and those who are wise-begin devotional service and come to the Lord for relief in the matter of their respective self-satisfaction. They go into some place of worship and pray to God for mitigation of material distress, or for some economic development, or to satisfy their inquisitiveness. And a wise man who simply realizes the greatness of God is also counted among the neophytes. Such beginners can be elevated to the second-class or first-class platform if they associate with pure devotees. An example of the neophyte class is Mahārāj Dhruva. He was in need of his father’s kingdom and therefore engaged himself in devotional service to the Lord. Then in the end when he was completely purified he declined to accept any material benediction from the Lord. Similarly, Gajendra was distressed and prayed to Kṛṣṇa for protection, after which he became a pure devotee. Similarly, Sanaka, Sanātana, Sananda and Sanat-kumāra were all in the category of wise, saintly persons, and they were also attracted by devotional service. A similar thing happened to the assemblage in the Naimiṣāraṇya Forest, headed by the sage Śaunaka. They were inquisitive and were always asking Sūta Gosvāmī about Kṛṣṇa. Thus they achieved the association of a pure devotee and became pure devotees themselves. So that is the way of elevating oneself. In whatever condition one may be, if he is fortunate enough to associate with pure devotees, then very quickly he is elevated to the second-class or first-class platform. These four types of devotees have been described in the Seventh Chapter of the Bhagavad-gītā, and they have all been accepted as pious. Without becoming pious no one can come to devotional service. It is explained in the Bhagavad-gītā that only one who has continually executed pious activities and whose sinful reactions in life have completely stopped can take to Kṛṣṇa consciousness. Others cannot. The neophyte devotees are classified into four groups-the distressed, those in need of money, the inquisitive and the wise-according to their gradations of pious activities. Without pious activities, if a man is in a distressed condition he becomes an agnostic, communist or something like that. Because he does not firmly believe in God, he thinks that he can adjust his distressed condition by totally disbelieving in Him. Lord Kṛṣṇa, however, has explained in the Gītā that out of these four types of neophytes, the one who is wise is very dear to Him because a wise man, if he is attached to Kṛṣṇa, is not seeking an exchange of material benefits. A wise man who becomes attached to Kṛṣṇa does not want any return from Him, neither in the form of relieving distress, nor in gaining money. This means that from the very beginning his basic principle of attachment to Kṛṣṇa is, more or less, love. Furthermore, due to his wisdom and study of śāstras (scriptures), he can understand also that Kṛṣṇa is the Supreme Personality of Godhead. It is confirmed in the Bhagavad-gītā that after many, many births, when one becomes actually wise, he surrenders unto Vāsudeva, knowing perfectly well that Kṛṣṇa (Vāsudeva) is the origin and cause of all causes. Therefore, he sticks to the lotus feet of Kṛṣṇa and gradually develops love for Him. Although such a wise man is very dear to Kṛṣṇa, the others are also accepted as very magnanimous because even though they are distressed or in need of money, they have come to Kṛṣṇa for satisfaction. Thus they are accepted as liberal, broad-minded mahātmās. Without being elevated to the position of a jñānī, or wise man, no one can stick to the principle of worshiping the Supreme Personality of Godhead. Others who are less intelligent, or those whose intelligence has been taken away by the spell of māyā, are attached to different demigods, on account of the influence of the modes of nature. The wise man is he who has thoroughly understood that he is spirit soul and not simply a body. Because he realizes that he is spirit and that Kṛṣṇa is the supreme spirit, he knows that his intimate relationship should be with Kṛṣṇa, not with this body. The distressed and the man in want of money are in the material concept of life because distress and need of money are both in relationship with this body. One who is inquisitive may be a little above the distressed and the man in need of money, but still he is on the material platform. But a wise man who seeks Kṛṣṇa knows perfectly well that he is spirit soul, or Brahman, and that Kṛṣṇa is the supreme spirit soul, or Param-Brahman. He knows that the spirit soul, being subordinate and finite, should always dovetail himself with the infinite and supreme soul, Kṛṣṇa. That is the relationship of the wise man with Kṛṣṇa. It can be concluded that a person who is freed from the bodily concept of life is an eligible candidate for pure devotional service. 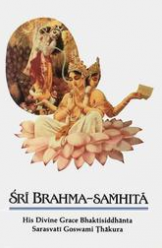 It is also confirmed in the Bhagavad-gītā that after Brahman realization, when one is freed from material anxieties and can see every living entity on an equal level, he is eligible to enter into devotional service. As has been stated before, there are three kinds of happiness: material, spiritual and devotional. Devotional service and the happiness due to its execution are not possible so long as one is materially affected. If someone has desire for material enjoyment or for becoming one with the supreme, these are both considered material concepts. Because the impersonalists cannot appreciate the spiritual happiness of association and the exchange of loving affairs with the Supreme Personality of Godhead, their ultimate goal is to become one with the Lord. This concept is simply an extension of the material idea. In the material world, everyone is trying to be the topmost head man amongst all his fellow men or neighbors. Either communally, socially or nationally, everyone is competing to be greater than all others, in the material concept of life. This greatness can be extended to the unlimited, so that one actually wants to become one with the greatest of all, the Supreme Lord. This is also a material concept, although maybe a little more advanced. However, the perfect spiritual concept of life is complete knowledge of one’s constitutional position, and thus one knows enough to dovetail himself in the transcendental loving service to the Lord. One must know that he is finite and that the Lord is infinite. Thus it is not possible to actually become one with the Lord even if one aspires for this. It is simply not possible. Therefore, anyone who has any desire or aspiration for satisfying his senses by becoming more and more important, either in the material sense or in the spiritual sense, cannot actually relish the really sweet taste of devotional service. Śrīla Rūpa Gosvāmī has therefore compared possessing these bhukti (material) and mukti (liberation) desires with being influenced by the black art of a witch: in both cases one is in trouble. Bhukti means material enjoyment, and mukti means to become freed from material anxiety and to become one with the Lord. These desires are compared to being haunted by ghosts and witches, because while these aspirations for material enjoyment or spiritual oneness with the supreme remain, no one can relish the actual transcendental taste of devotional service. The attention of a pure devotee is so much attracted to glorification of the pastimes, name, qualities, forms, etc., of the Lord that the devotee does not care for mukti. Śrī Bilvamaṅgala Thākur has said, “If I am engaged in devotional service unto You, my dear Lord, then very easily can I perceive Your presence everywhere. And as far as liberation is concerned, I think liberation stands at my door with folded hands waiting to serve me.” To pure devotees, therefore, liberation and spiritual emancipation are not very important things. This evidence from Śrīmad-Bhāgavatam gives assurance to the pure devotee of being elevated to association with the Supreme Personality of Godhead. Śrīla Rūpa Gosvāmī remarks in this connection that one who is actually attracted by the beauty of the lotus feet of Śrī Kṛṣṇa or His service, and whose heart, by such attraction, is always full with transcendental bliss, will naturally never aspire after the liberation which is so valuable to the impersonalists.